The aim of the PESFOR-W COST Action is to synthesize knowledge, provide guidance and encourage collaborative research to improve Europe’s capacity to use Payments for Ecosystem Services (PES) to achieve Water Framework Directive (WFD) targets & other policy objectives through incentives for planting woodlands to reduce agricultural diffuse pollution to watercourses. Short Term Scientific Missions (STSM) are exchange visits aimed at strengthening existing networks and fostering collaboration between researchers that contribute to the objectives of the Action. [Read more…] about Our December newsletter is out! The European Network for theAdvancement of Business and Landscape Education (ENABLE) has created its second MOOC: BusinessModel Innovation for Sustainable Landscape Restoration. In the MOOC, participants are encouraged to go through the businessmodel innovation process in groups of their choice. The ENABLE project is a partnership of organisations in the private, public and non-profit sector, and isco-led by Rotterdam School of Management, Erasmus University (RSM) andCommonland Foundation. Subscribing to this free online course starts on Wednesday 5 December, World Soil Day. The MOOC will launch on14 February 2019. The training on rapid assessment of wetland ecosystem services held in Geumsan county brought together 35 participants of local residents, wetland interpreters, and citizen scientist to appreciate values of Cheonnae wetland located in Geum-river watershed. We are delighted to welcome our new steering committee of ESP-Asia 2019-2020. ESP Asia SC has a total of 9 seats including hosting countries of ESP Asia Conferences(4), recommended ESP members(3), ESP headquarter(1), and ESP Asia Regional Office(1). 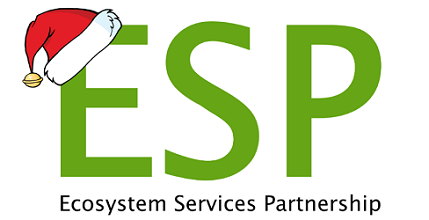 ESP Asia SC plays a role in the scientific program committee leading the organization of biannual ESP Asia Conferences and other ESP-Asia events including ESP Asia Intergovernmental Meeting, ESP Asia Forum and other collaborative thematic sessions during ESP Conferences in future.